This year, students at our university and around our country have been presented with the vital question: Will you tolerate injustice? Will you stand still as our nation is dragged backward by dark-money, corporate interests? Will you stay silent as our free press is attacked by those who find truth inconvenient? Will you do nothing as young immigrants are torn from their only home, as our environment is exposed and sold to polluters, as our future is imperiled so America’s wealthiest can be given yet another handout, as our democracy, our institutions and our role in the world are denigrated and dissolved? No, we will not blindly accept the regressive policies and the destructive politics of the Republican party. We will fight for progress. We will fight for compassion. We will fight for truth. We will fight for decency. This is a fight for the future of our state, of our country and of our world as a whole. For our chapter, this fight started early in the fall semester. After a disappointing 2016, Democrats on campus answered with a positive message and a determination to energize voters and activists for upcoming elections. In September, hundreds of students turned out to kick off the year with U.S. Rep. Mark Pocan, D-Madison. These students would go on to assist campaigns across the country by canvassing for U.S. Sen. Tammy Baldwin, D-Wisconsin and by phone-banking for elections on the east coast. By November, our chapter had helped secure historic victories in New Jersey and Virginia, winning both governorships and flipping 18 legislative districts. 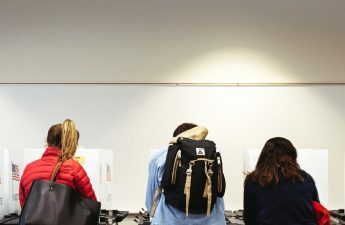 Across the rest of the semester, Democrats defended free speech on campus, advocated for voter registration, hosted party chair Tom Perez and connected students with political internships. This spring, we continued our efforts by phone banking for Patty Schachtner in Wisconsin’s 10th Senate District, leading to a victory in a district that voted heavily for President Donald Trump. We hosted informational sessions on gun reform, supported student activism on the issue and debated commonsense proposals. We helped get out the vote to elect Rebecca Dallet to the State Supreme Court and local progressives to positions across Wisconsin. We brought in progressive speakers like Baldwin, Pocan, Attorney General candidate Josh Kaul, DNC Representative Khary Penebaker and gubernatorial candidates Mahlon Mitchell, Tony Evers, Kelda Roys and Mike McCabe. 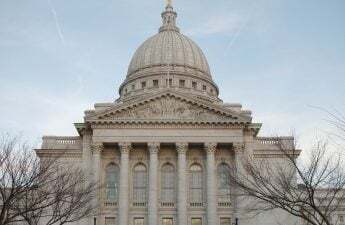 We canvassed again for Baldwin, marched in support of sexual assault victims and elected our chapter chair, Brianna Koerth, as the chair of the College Democrats of Wisconsin. We’re proud of everything we’ve accomplished this semester, but we know we can, must and will push forward. This is our moment. This is our opportunity to decide the future of our country and our world, to choose acceptance over discrimination, compassion over greed, truth over deception, progress over polarization and unity over division. This is our opportunity to reject dark-money, corporate special interests and reelect a Wisconsin hero and a progressive champion in Baldwin. This is our opportunity to restore our educational system, our environment, our governmental ethics and our workers’ rights by defeating Gov. Scott Walker and Brad Schimel and by electing Democrats to statewide office. This is our opportunity to restore our state’s values and to introduce a government that truly serves all of its citizens. We’re extremely excited for the months ahead and we’re ready to work toward progress in Wisconsin and beyond. We’ll continue to fight for job growth, for better wages and worker protections. We’ll advocate for independent redistricting, for fair voting practices and campaign finance reform. We’ll give our support for environmental protection, for education, for government ethics and more. We’ll be a voice for students, a defender of truth and a champion for all Americans. We’ll be the force behind the “blue wave” and we’ll elect Democrats across our country. David Pelikan ([email protected]) is a freshman studying political science and economics. He is also Press Secretary for UW College Democrats.